Get ready for Christmas by decorating your tree with this Cute Angel Ornament! This is made with cotton thread yarn and a 2.7 hook size. You can make it bigger with thicker yarn or a larger hook size. It's perfect for any tree or to place on a gift. 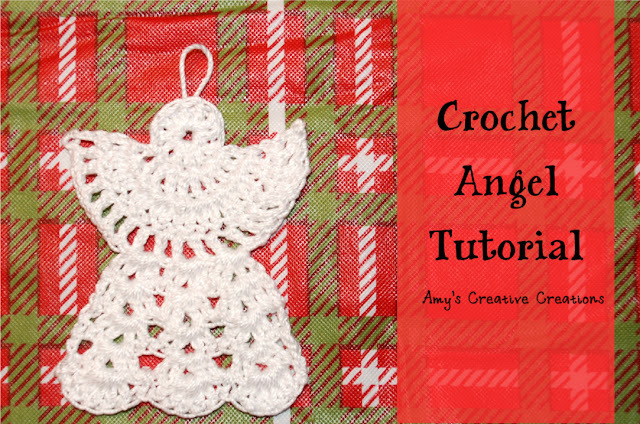 Enjoy this Angel Ornament Pattern that offers a Video Tutorial as well! Row 9. ch 2, work 5 dc in the chain 1 space, sc in the next space, *work 5 dc in the next chain 1 space, *Repeat for one time, hdc in the last dc, Fasten off. Create a loop on top by sewing a loop to hang it. You Can use Fabric Stiffner to finish! Thank you for this lovely angel pattern. Your instructions were clear and easy to follow. This worked up quickly and I just love this sweet angel for christmas gifts.